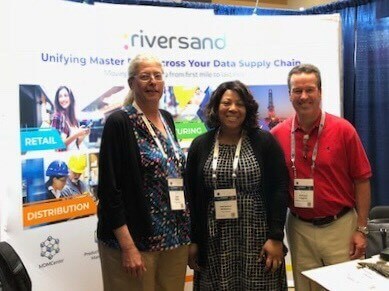 Last week, Riversand teams attended not one, but two industry conferences where customer and product data management featured heavily as foundational drivers of customer satisfaction and competitive advantage. One team attended IRCE: Internet Retailer Conference in Chicago, one of the premiere e-commerce events. The event featured a jam-packed lineup of some of the biggest and brightest minds in e-commerce, as well as the most cutting-edge products and services. Nearly 10,000 conference attendees heard from expert speakers, sat in on 130 conference sessions, and connected with nearly 600 exhibiting solution providers. Riversand joined the ranks of DHL, eBay, FedEx, PayPal, UPS, Shopify Plus, Magento Commerce, and hundreds more to showcase the latest technology and services to support internet retailers. 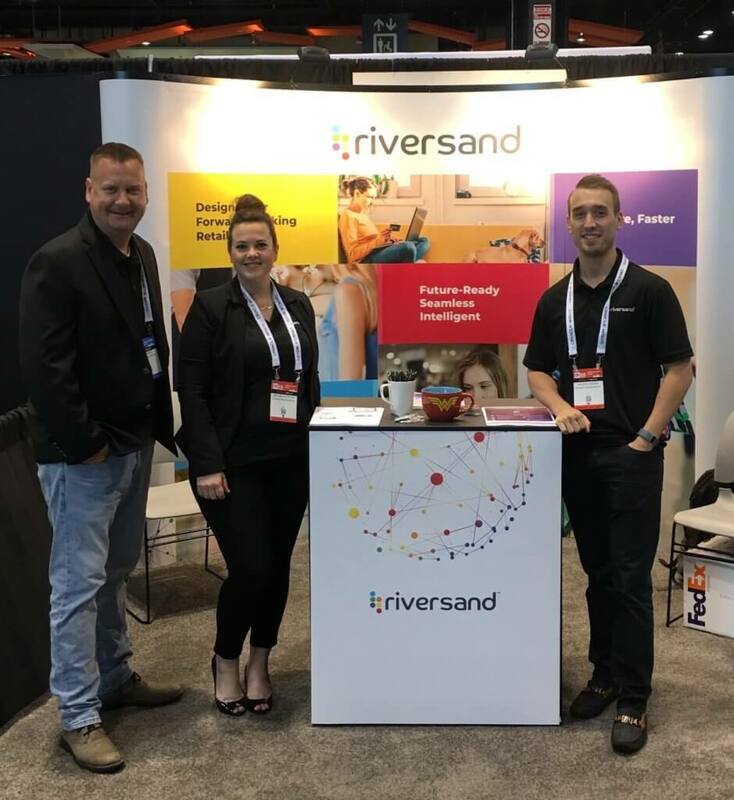 Meanwhile, team two from Riversand was in Phoenix for the GS1 Connect 2018 event talking with some of the 1300 conference attendees in the exhibition hall. The team was also excited to support Adrienne William-Simmons from our customer, Beam Suntory, as she talked about how her company (one of the largest spirits manufacturers in the world) embraced GS1 standards for non-standard data. What were Riversand’s key takeaways from each show? Retail continues to be driven online. Huge threats exist with powerhouses like Amazon, and other large marketplaces, commoditizing the retail experience. But buyers are human, so understanding each and every customer on as personal a level as possible is key to offering true value via personalized customer service and experiences that will help omni-channel retailers stay not only relevant but necessary. The key to mass personalization resides in the data – data that customers and suppliers trust – which is where Riversand and Master Data Management come in. Warby Parker took a very traditional industry, prescription eyewear, from 99% brick-and-mortar to a hugely successful online/omni-channel brand. What was the secret of their success? The answer is simple… customer experience. “Consumers don’t think in terms of marketing channels, they think about the experience as a whole, and that’s what your business needs to do to be successful.” – Dave Gilboa, Co-founder Warby Parker. Don Davis, Editor at Large of Internet Retailer, painted a rather harrowing picture for the future of retailers, talking about the perils that Amazon poses to many online businesses. Driven by low prices, free shipping and state-of-the-art customer service, Amazon was responsible for 42% of all US online retail sales last year. Practices that make it hard for small and medium sized retailers to complete. Internet Retailer Research Director, Fareeh Ali highlighted the incredible growth of worldwide marketplaces with an epic $1.5 trillion spent globally on the top 75 online marketplaces in the world. Large brands will continue to join Amazon and other top marketplaces (recently joined Amazon: Nike, Chico’s, Gap, Under Armour, Best Buy, Calvin Klein). Walmart and Ebay aren’t going anywhere… Walmart will continue to expand their own marketplace and grow with the acquisition of jet.com. More large retailers will launch their own marketplaces and more will follow. Urban Outfitters, Albertsons, Crate and Barrel, and Overstock have all recently launched marketplaces. By 2020, 85% of customer interactions will be managed without a human – making an intelligent and personalized customer experience key to engagement. Data continues to drive decisions across all touch-points of the consumer journey and retailer operations. You cannot simply collect data but you must react and respond to it in order for it to be effective – using data to understand where your customers are and gauge interest, so you’re not chasing them around. According to Donna Holt, Senior Product Manager at Office Depot, artificial intelligence can have an immediate impact on your testing and experimentation because it can be done in the moment and respond to the data immediately. Throughout the buyer’s journey, there are plenty of digital “purchase intent” signals that AI can utilize to connect the dots on what is driving consumer behavior and purchases. Every year, GS1, the non-profit organization that develops and maintains global product data standards, brings trading partners together to network and learn about the value of using standards-based business processes. GS1 is all about product and supply chain data! GS1 Standards provide a common language to help create seamless work processes via product traceability and data transparency allowing organizations across industries to identify, capture, and share information. The best known of these standards is the barcode. In industries ranging from apparel and food services to healthcare, GS1 barcodes are scanned more than six billion times every day. The GS1 conference covers a wide range of topics. Some of our favorites were: “Meeting the transparency demands of today’s connected consumers of the food services industry”, “Thick Data – capturing precious data from human emotions and stories” and “The importance of making customer-responsive investments”. The future of connected product data is bright. But for many organizations, especially those with global operations, aligning globally trusted product data with trading partners at the speed of global business requires rethinking how master data is managed across their organizations and supply chains. Riversand customer Beam Suntory, the global spirits manufacturer, exemplifies the need for organizations to “come-of-[digital]age” with regards to data standards, and data management. In her talk, Standardizing Non-standard Data, Adrienne Williams-Simmons took her session audience on a journey from problem recognition through 1WorldSync implementation – “smoothing the way” for omnichannel alcohol sales. For Beam Suntory, the need for GS1 compliance started with requests from their downstream supply chain members, in their case, major retailers and distributors of alcoholic beverages, worldwide in order to enhance their digital data capabilities to adopt GS1 standards. The resulting project revealed to Beam Suntory the global business benefits of data quality on business performance. We are all back to work, and looking forward to exploring master data management with all the contacts we made at both shows! In the meantime, take a look at our resources for more information on MDM, PIM, GS1 and Riversand here!